Yesterday marked our second Ambassadors Meeting and we wanted to tell you all about it! Last year we decided to tailor a selection of models to represent the different categories of TTM and to be our focus group to ensure we are always improving our business, for both our models and our clients. 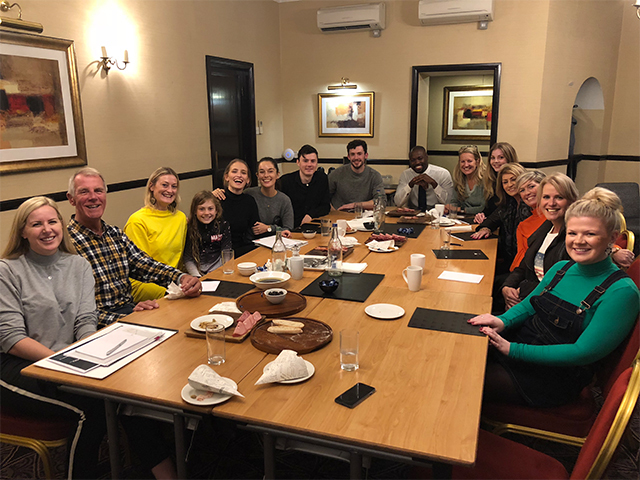 From our last meeting, we actioned the points that our ambassadors brought to the table including starting development of a new website, changing model categories, developing a more campaign lead social media approach and allowing models to be more involved in our content. It’s great to hear the thoughts of our ambassadors and although there are only a small group they are key to developing new ideas and ensuring the growth of TTM is successful. You'll be hearing more from our ambassadors and the changes we have in store. If you would like to be considered as one of our Ambassadors for next year please contact Maggie. Welcome to the TTM Management blog. TTM Management provide best-in-class models and talent across the North of England and Scotland – and in key cities globally. We've been matching models to missions since 1994, helping to deliver brand messages with power and precision. We love learning about you and helping your business to prosper. We focus completely on turning your ambition into achievement and your performance into profit. Only TTM Management provide talent with the perfect mix of awesome aesthetic, a can do attitude and a client focused approach. We maximise not only our model's performance on the day, but your brand performance into the future. LADIES DAY 2018. DON'T DRESS TO IMPRESS - DRESS TO WIN!